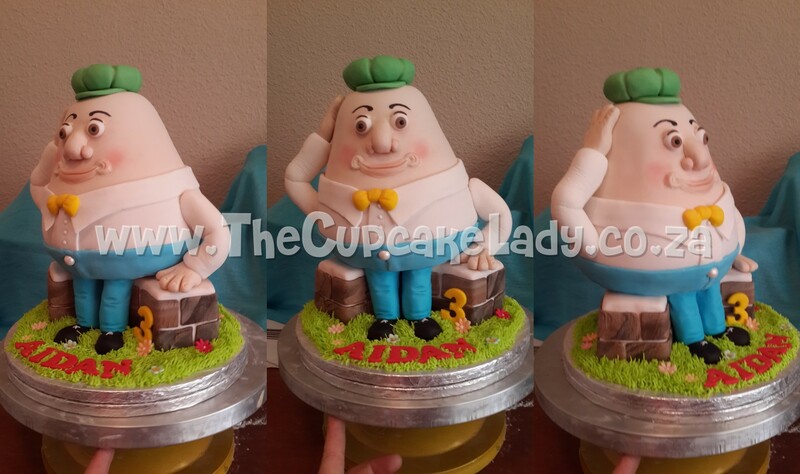 Candice ordered a birthday cake from me in June – a vanilla cake with chocolate butter icing – shaped like Humpty Dumpty! There was quite possibly more planning and structural assembly in this cake than in any other cake I’ve done! I went with the last option and sculpted Humpty and the wall – all out of cake! I was a nervous wreck transporting this cake to the birthday boy’s house! I was cradling it gingerly all the way there, terrified it would fall over in the car and Humpty would be smashed!